As a dietitian, I strongly believe that healthy eating is not only about what you eat, but also about how you eat. Cooking meals at home, eating together and enjoying what you eat is all part of eating well. While cooking is typically seen as routine, sometimes eating together is reserved for big events. But it doesn’t have to be! Maybe all you’re celebrating is that it’s (finally!) Friday night – and that’s okay. Who doesn’t love to celebrate the weekend? Whatever you’re celebrating, Canadian Turkey has recipes that can help you eat well and enjoy the pleasures of food. Go whole: A whole turkey makes family celebrations even more special. The arrival of spring brings all sorts of family celebrations, from religious holidays to long weekend barbecues and graduations. 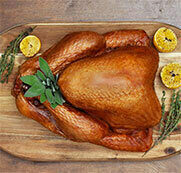 A whole turkey is perfect for all your family celebrations – big or small. Not only does a whole turkey feed a crowd, but also if you’re hosting a smaller gathering, there will be lots of leftovers to create nutritious meals during the week. Deliciously Simple Herb Roasted Turkey – as the name implies, this roast turkey is tasty and easier to make than you might think. Maple Thyme Basted Roast Turkey – since it’s maple syrup season, a turkey glazed with maple syrup is scrumptious and ideal for spring. 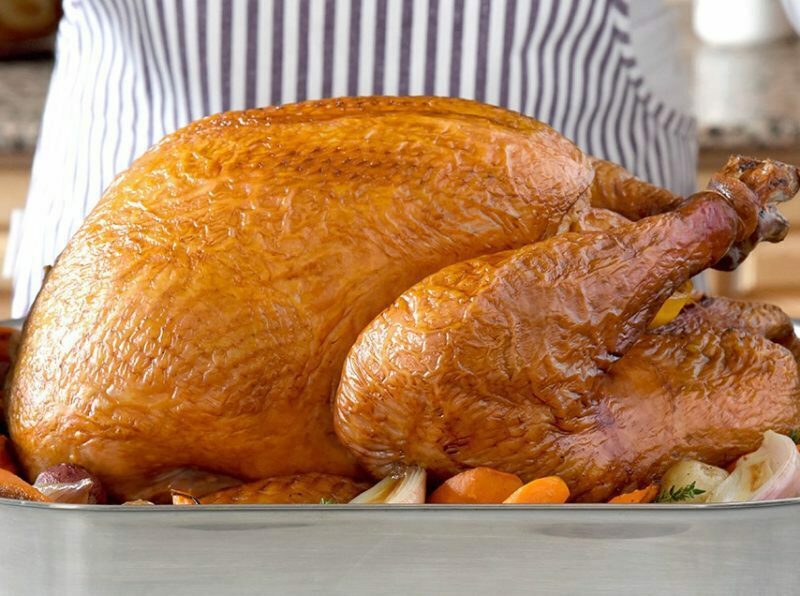 Watch this how-to video to see how easy it is to roast as simply delicious roast turkey. Get inspired: Turkey is terrific for celebrating cultural cuisines. I find that experimenting with new and different cultural recipes inspires my teenagers (and me!) to cook more. It gets them excited about getting into the kitchen and sparks their interest in trying healthy options too. Testing new recipes during the busy week might not work for you, but you can have some fun cooking cultural cuisine with family or friends on weekends. Start small: choose a new recipe, make it together, and then sit down to savour your creation as a family. Go big: plan a potluck! Be adventuresome, choose a culture and have everyone bring a dish that can be shared. Coconut Turkey Curry – Turkey pairs perfectly with the coconut, curry, ginger and garlic to create a mouth-wateringly good burst of flavour. 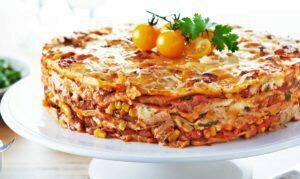 Turkey Tortilla Pie: Love Mexican? Then you’ll love this easy turkey tortilla pie made with leftover cooked turkey. It’s ideal for a potluck! Keep it simple. Turkey is fantastic for Friday night. When my kids were younger, Friday night was family night. We’d share a meal and hang out together watching a movie or playing a game. It was a great way to unwind and reconnect as a family. Now and then, when the kids don’t have plans, we still celebrate Fridays. As a mom, I love the family time. As a dietitian, I appreciate that cooking and eating a nutritious meal together can help kids to create healthy habits and develop a healthy attitude towards food. I keep Friday family night foods easy and fun, like these Crunchy Turkey Cutlets served simply with a whole grain baguette and crisp fresh veggies with dip. Cut the cutlets into “fingers” for the little folks in your life. Good food fast! Crunchy Turkey Cutlets cook in the time it would have taken you to wait around for delivery (bake them in the oven for 25 minutes) but it tastes better, it’s more nutritious and budget-friendly. Need a recipe for next Friday night too? How about these Sweet and Spicy Oven Fried Drumettes. They’re baked but crispy and are terrific as leftovers for healthier snacking. Watch the how-to video – looks easy (and tasty! ), right?